Universal! Super-slim tool extension. Due to the use of TRIBOS SVL extensions standard cutting tools can be used instead of expensive special tools. 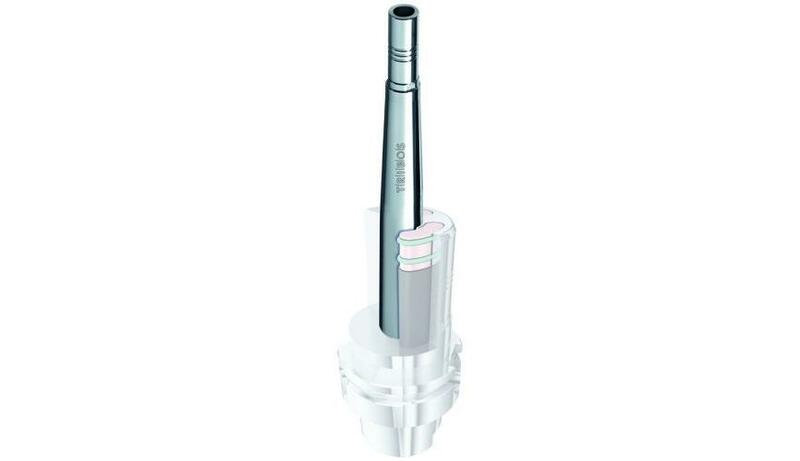 The extension with its run-out accuracy of < 0.003 mm and particularly slim interfering contour can be used in combination with various SCHUNK toolholders. - Run-out accuracy of less than 0.003 mm. Increases tool service life considerably. - Optimized interfering contour. Ideal for bores on deep parts, such as in fixture construction. - The synergy effect. Quickly combined saves costs, with various toolholding systems, for example TENDO, TRIBOS, CELSIO. - Expensive special tools can be replaced. Minimization of the cost of acquisition.